The magnetic device to counteract rising damp in walls. 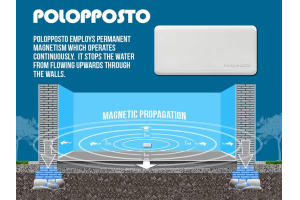 Polopposto employs permanent magnetism to fight rising damp. …it stops the direction of the water flow from the ground up through the walls. 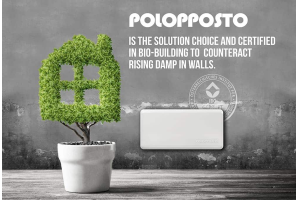 Polopposto® is a device aimed at fighting rising damp in building structures. It is grounded on a scientific basis, proven to be effective in all conditions of use and has no cons. It was designed in Italy: a land where old villages and new cities, century-old monuments and buildings from the old and new industrialization, historical farmsteads and gems of ultra modern architecture are entrenched together in a fascinating and inextricable bond. it is an effective and cheap solution. It is certified for bio-building. The scientific principles underlying its functioning allow for it to be applied to whatever type of building structure, no matter what the material, climate or architecture is. 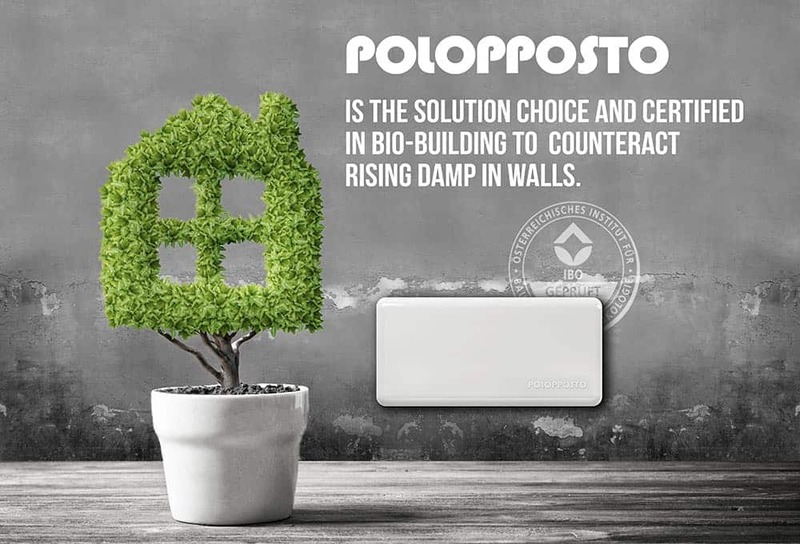 Polopposto® acts directly on the direction of rising damp, for an all-round solution. 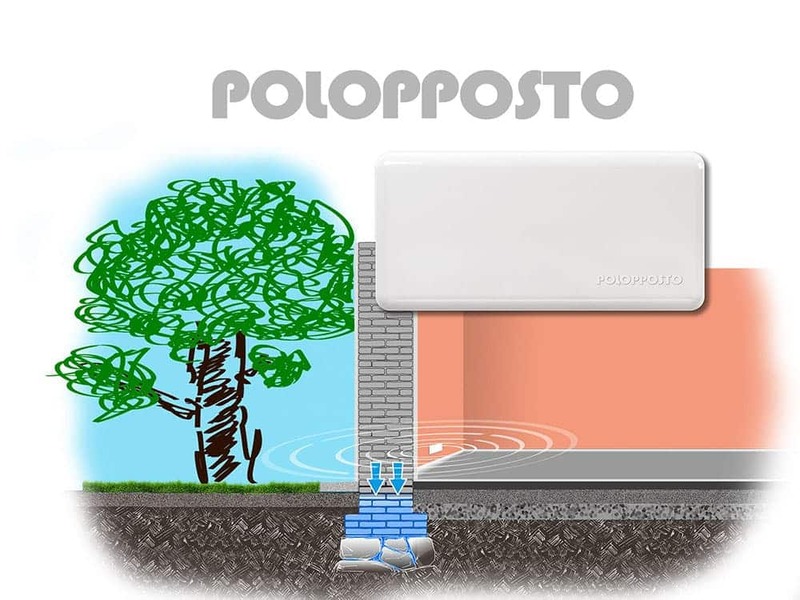 Polopposto® gets to the roots of rising damp and claims to be a versatile solution, since for all the huge variety of buildings and their uses the rising damp structure itself has to be dealt with, as it becomes a whole thing with the buildings materials and the soil where the building is located. It is also versatile in time. Not only does it fit any type of building - little houses or castles, farms or palaces, apartment blocks or manors, used occasionally or continuously - but from all ages too: either old and new houses, historical buildings as well as constructions built for a short season. 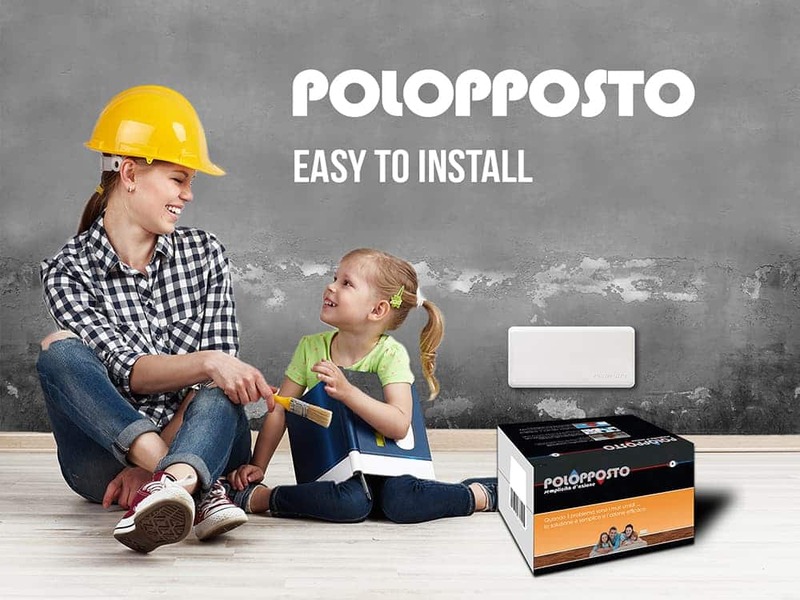 Polopposto® employs permanent magnetism to fight rising damp. …it stops the direction of the water flow from the ground up through the walls. Inside the walls, water molecules arrange “in leaflets”, on parallel layers placed vertically. The electric potential difference generating inside the walls between the “anion” (negative) and the “cation” areas (positive) attracts water molecules upwards through the walls. 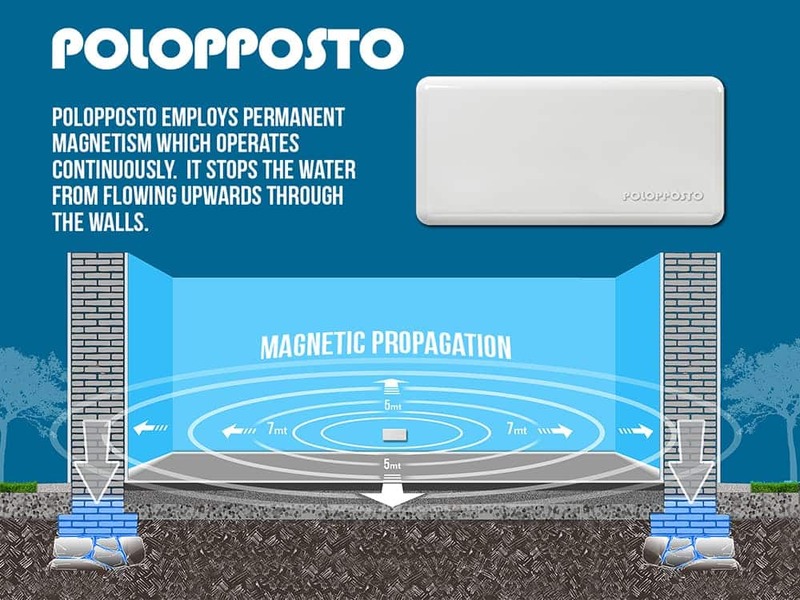 Polopposto® employs permanent magnetism which operates continuously. It stops the water from flowing upwards through the walls: in a word, it attracts the “leaflets” (water molecule arrangement inside the wall), one at a time, to the bottom, therefore to the ground. 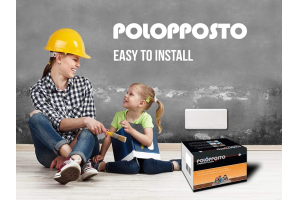 Just a few simple actions and the Polopposto® device will be installed in the right position for proper coverage and ready to remove humidity from your walls naturally. 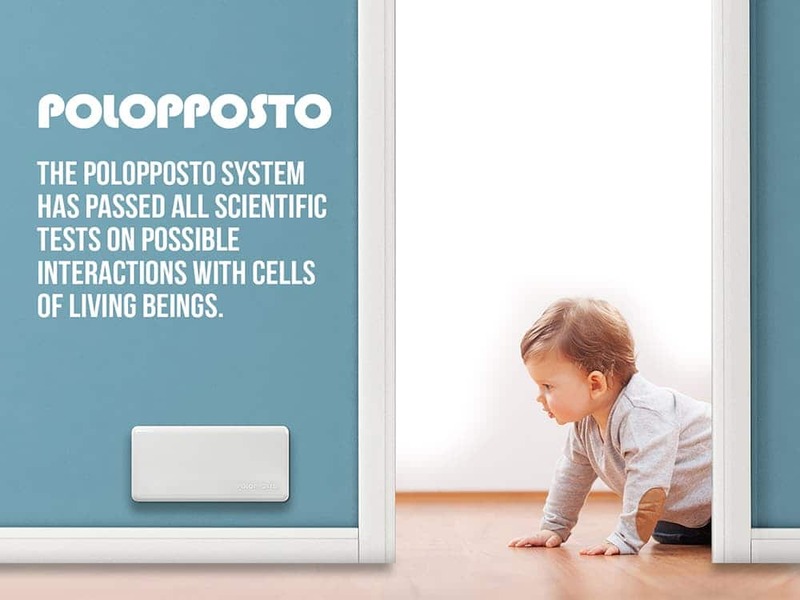 The Polopposto system has passed all scientific tests on possible interactions with cells of living beings. Does this new device have a noticeable interaction with the physiology or pathology of animals, plants or yeasts? Can it cause health problems? 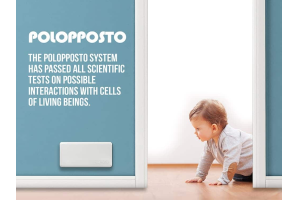 The Polopposto® system was lab tested on animal, plant and fungi cell structures, in all common situations, meaning those typical of a laboratory: Test results are unambiguous, such that they exclude any interaction with the human body and animal and vegetable cells in general. 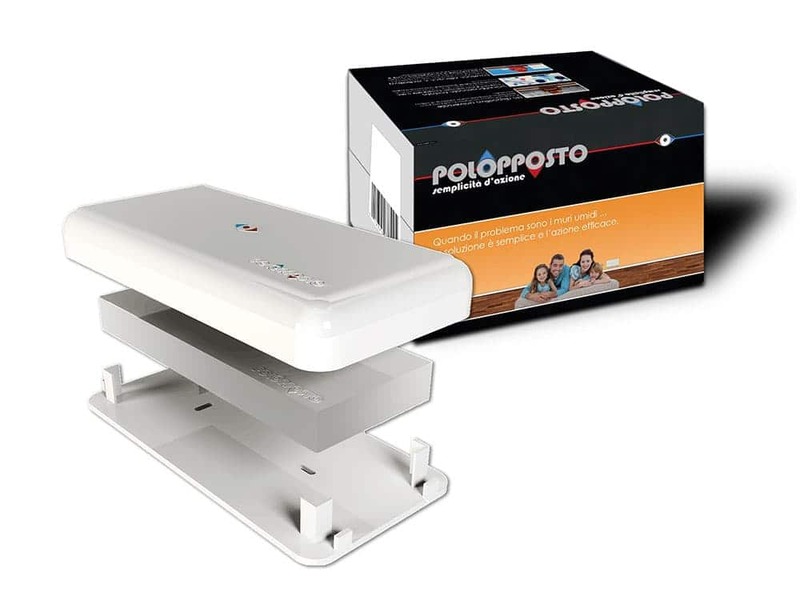 Polopposto® underwent large arrays of tests and was then checked though experiments performed in highly-qualified and internationally-ranked labs. Magnetic intensity: 4.2 microTesla (with a 3x10‐9mT standard variability). Never place the device near a potential combustion source. Flames from burning plastic can emit toxic fumes and gases, causing severe injuries to people and damage to things. Avoid using with temperatures above 150° degrees. 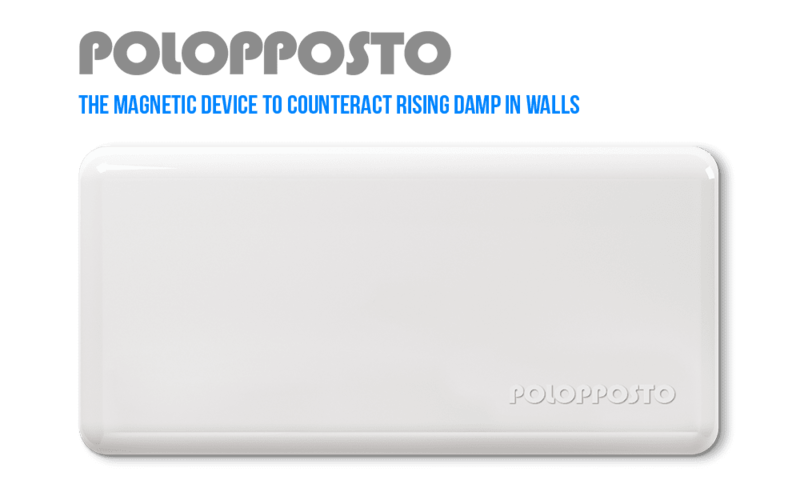 The Polopposto device has passed all scientific tests on possible interactions with cells of living beings. 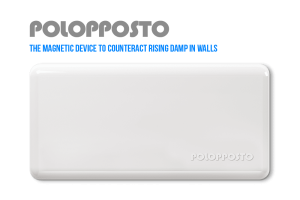 The Polopposto device was lab tested on animal, plant and fungi cell structures. Test results are unambiguous, such that they exclude any interaction with the human body and animal and plant cells in general.